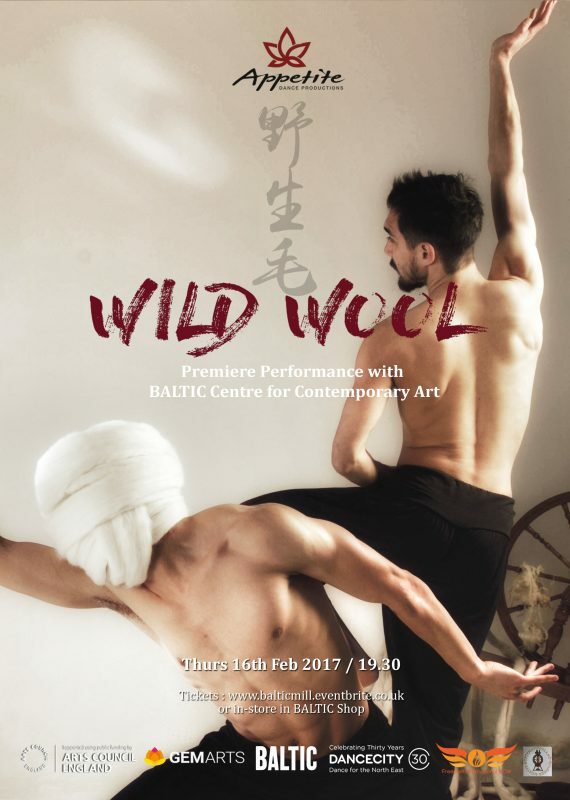 WILD WOOL Premiere Performance with BALTIC Centre for Contemporary Art. WILD WOOL is the exciting new live art performance from award winning Appetite Dance Productions inspired by the history of trade, the crossing of cultural boundaries, and the social accommodations of the immigrant experience – the warp and weft of our times – transforming the imaginary space where East meets West. This piece, created by the artist and choreographer Apple Yang, merges Chinese dance, martial arts and gesture to conjure intimate, magical landscapes, exploring the complexities of the self through an interweaving of body and raw material. Tickets: balticmill.eventbrite.co.uk or in-store in BALTIC Shop. WILD WOOL Produced by Appetite Dance Productions. Presented with BALTIC Centre for Contemporary Art. Supported by Arts Council England, Dance City, North Northumberland Spinners and Freedom International Now. Website by: The Best Design & Print Co.